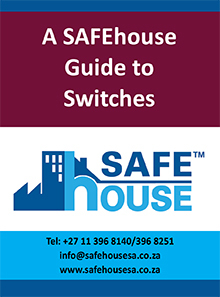 In the South African electrical industry it is often said that “a switch is a switch is a switch!” Nothing could be further from the truth; switches and sockets are not only functional devices, they are also elements of interior design. They must have technical abilities to handle modern household and office appliances and equipment, and should not detract from the appearance of their location. The following guide is applicable to alternating current (ac), whilst any direct current (dc) applications require confirmation with the relevant supplier insofar as the ratings are applicable.